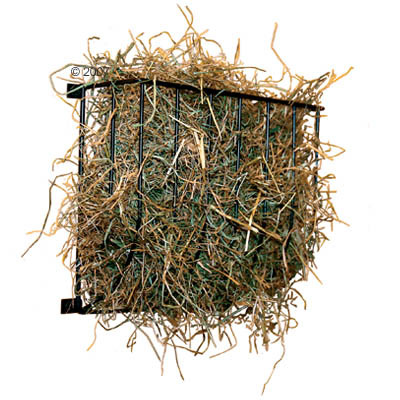 This Hay Rack is intended to be mounted on the wall of your rabbit hutch. Optimally suited for wooden rabbit hutches. Hay racks ensure that your rabbit won't walk over and contaminate its own food. Thus you won't be forced to change your rabbit's food as often as it will remain fresh and tasty for longer. The Hay Rack for rabbits must be screwed into the wall of your rabbit's cage or hutch thus making it optimally suitable for wooden hutches. This product is extremely weather resistant due to its powder-coating. Dimension 22.5 x 16 x 6cm.